Modding a game like World of Warcraft can earn you widespread acclaim, but it doesn’t exactly pay the bills. For all the accolades developer Adam Williams received for Deadly Boss Mods, a raid tool considered indispensable by WoW’s community, he still found himself burnt-out on raiding and too poor to pay for badly-needed dental surgery earlier this month. Then the game’s community came to his rescue. Deadly Boss Mods has been around since the days of vanilla WoW. It’s an interface mod that gives you alerts and helps you coordinate strategies with party members, a godsend against the game’s ever-shifting rogue’s gallery of arch-nemeses. Williams is its sole developer. Over the years, it’s pretty much become his life. Stress and money have become serious issues, Williams wrote. Every day, he was splitting his time between the mod and running errands for his 70-year-old mother, who he said is disabled and has had two heart attack scares in recent times—which makes the prospect of working away from home worrisome. On top of that, he said his own health had also begun to fail, and he couldn’t afford to get help. Then, yesterday, Blizzard’s World of Warcraft team, with the help of computer hardware company MSI, pitched in as well, gifting Williams a new high-end PC to replace his old one, which he said was bottoming-out during big boss fights. “We hope that this small token of our appreciation takes a little stress off your shoulders,” the WoW team wrote in a note that accompanied the PC. “I cannot thank the community or Blizzard or MSI enough for all the new support I’ve received, other than [by] focusing on health, family, and continuing to make DBM best mod I can for [the] WoW community until the end of WoW’s days,” Williams wrote in response to the gesture. It’s all nice and heartwarming, but it’s also hard to look at this situation and feel altogether good about it. 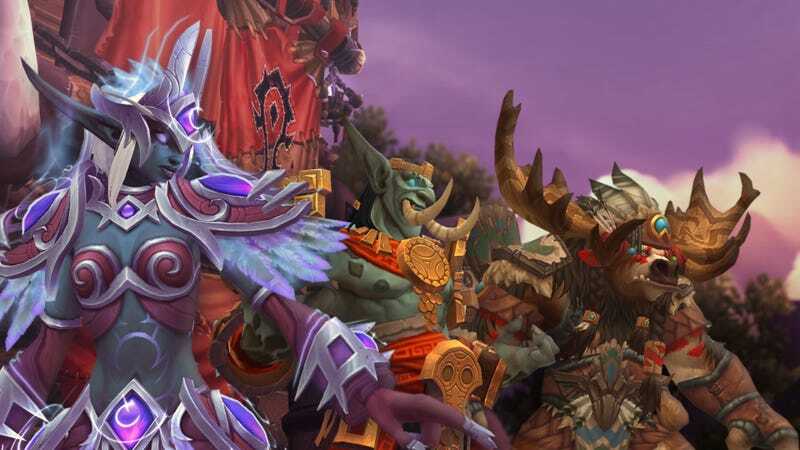 It might not be on companies to take care of all modders or offer them jobs or what have you, but DBM is a WoW fixture—a key element of the game for countless players. It might have started as nothing more than a small-time passion project, but it’s much, much more than that now. With games’ lifespans stretching on for decade-plus spans of time, these ecosystems—rife with voluntary, uncompensated labor, even when it’s partially supported by Patreon—start to look more and more questionable. If somebody who’s made an essential part of a game since day one can’t support themselves, what does that say about the company and game in question? What does it mean when a company like Blizzard is benefiting from an add-on like Deadly Boss Monsters arguably more than its creator, all while doing none of the labor to make it? It might be the way the gaming industry’s done things for a while now, but it doesn’t mean it’s the right way to keep doing them.